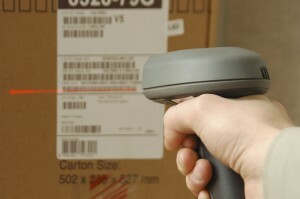 Home / Barcode Software / Inventory Control / What is Inventory Management Software? Inventory is arguably the most important asset to any company — it’s the materials, work-in-progress goods and final product that businesses sell in order to generate revenue. Without inventory, there is no business. But keeping track of inventory is just as important to running an efficient and profitable business as procuring it — poor inventory management is one of the top eight reasons why small businesses fail, according to SBA.gov. Thus, inventory management software has become an essential tool for business owners. Inventory management software consists of business applications that track, manage and organize product sales, material purchases and other production processes. Gone are the days of tracking inventory with pencil and paper — businesses can now use systems based on barcodes or radio-frequency identification (RFID) to see when shipments come in, where raw materials are located, and when their products have shipped. By using inventory management software, businesses reduce the time and efforts previously put into basic tracking, and instead focus on analyzing, finding and reducing inefficiencies in their model. Without accurate accounting of how much inventory a business has, where that inventory is located and what will be needed to complete incoming and future orders, no company can run efficiently enough to turn a profit and generate growth. Shockingly, inventory inefficiency is common for many businesses. According to an analysis in Management Science, numbers were inaccurate for 65 percent of the nearly 370,000 inventory records observed across 37 retail stores. Inaccurate inventory records create a higher lead time (the time between the initiation and execution of a process), which means a slower response to demand, market changes and stock outs. This, in turn, can create customer disapproval when products aren’t available as needed. For small businesses, the margin for error is too small not to meet required demand (only about 50 percent of small businesses survive past four years). Plus, a shorter lead time has become an important source of competitive advantage. U.S.-based consulting firm Granite Bay says that by reducing the lead times of global manufacturers by 50-80 percent, they have seen increases in both market share and profit. How can inventory management software affect my inventory turnover ratio? Inventory turnover, a key metric for small business, is the cost of goods sold divided by average inventory on hand. If your turnover rate is too low or too high, your business may be overstocking, or find itself unable to meet demand. Either scenario can cost you. Low turnover ratio leads to duplicate orders or deteriorating value as products sit on the shelves or in warehouses; high turnover ratio often results in excess shipping costs to quickly replace out-of-stock parts, time wasted physically locating needed inventory and, eventually, uncompleted orders. Companies such as Precision Drilling in Edmonton, Alberta have found that a more balanced turnover ratio leads to greater efficiency, including built-in lead times for quickly depleted items and days’ worth of saved hours previously reserved for working on manual spreadsheets. That kind of efficiency has a ripple effect that can even cut payroll costs, since employees no longer have to spend time tracking down individual parts or orders. Is inventory management software worth the investment? The perceived costs of investing in inventory management software might be cause for hesitation to switch from manual inventory accounting to an automated system. The real question is, in the 21st century, how can businesses afford not to have management software for their inventory? Besides fixed assets, inventory is usually the largest priced asset of any business. Allowing those assets to go unchecked, unregulated, and unsupervised, as it goes from supplier to consumer leads to a decrease in profits. Managing inventory — As noted above, excess stock — or a lack of stock — can cost you. Warehouses can cut costs by not purchasing inventory until it’s needed and can earn price breaks by ordering in larger quantities. Saving space — Clearly defined storage areas and bin locations lead to a more organized and efficient warehouse. Maximizing labor — Getting the most out of employees without wasting their time — including in the training of new employees — is crucial, and increased productivity is a hallmark of quality inventory management software. Satisfying customers — Beyond your business benefitting from good customer service, satisfying customer orders also prevents your company from violating service-level agreements. Reducing wear and tear — Fixed assets that are involved in moving your inventory (such as pallet jacks and trucks) benefit from consolidated activity and efficient routing, which inventory management systems provide. Despite mounting evidence that inventory management software is a necessary component for any company, 46 percent of the businesses surveyed in Wasp Barcode’s State of Small Business Report don’t currently track inventory or use a manual process to do so. Consider this a call to action for getting a leg up on your peers. Any company serious about maintaining competitiveness in the marketplace needs inventory management software, in order to increase efficiency, save money in the long run and free up employees to do more important and less menial tasks. With a variety of options available for every business size and model, business owners would be wise to invest in a system that’s right for them. Ready to learn how inventory management software can improve your business? Contact System ID at 888.648.4452, or schedule an online demo with an inventory specialist.